Help Documents - Version 5 Emails: Contact Lists, Invitations, RemindersHow do I insert file links into confirmation email messages? Where are these files stored in the File Cabinet? All files that you upload into either of these 2 folders can be inserted as links into the corresponding email confirmation messages. Uploading files into the File Cabinet is covered in this document: How do I upload files into the File Cabinet? Zoom: Where are these files stored in the File Cabinet? Does your Admin Dashboard have Menus or Buttons? rsvpBOOK has 2 versions of the Admin Dashboard. Which one do you have? To which message do you want to add File Cabinet merge codes? To a brand new message you are creating? 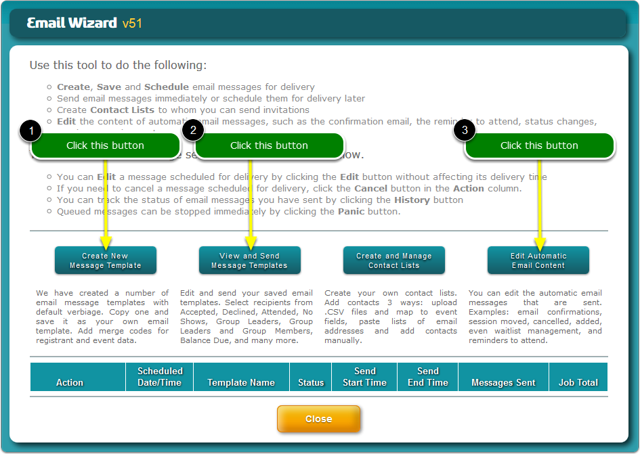 Then click the Create New Message Template button on the Email Wizard screen. To an existing message that you are editing? 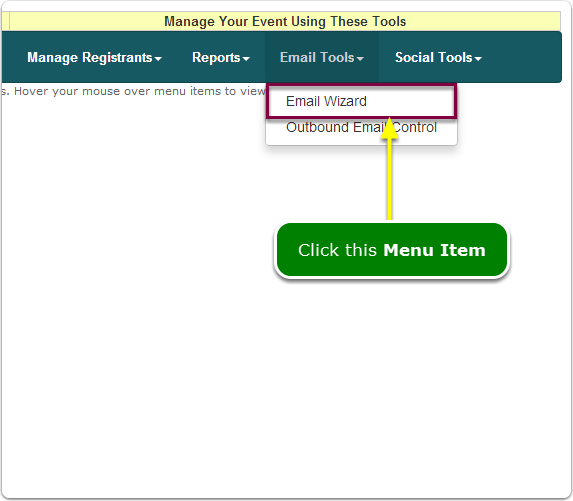 Then click the View and Send Message Templates button on the Email Wizard screen. To an automatic rsvpBOOK system message? 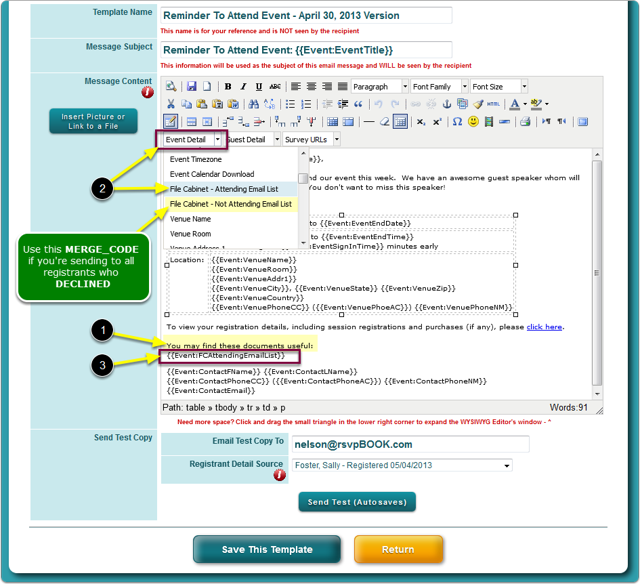 Then click the Edit Automatic Email Content button on the Email Wizard screen. Zoom: To which message do you want to add File Cabinet merge codes? 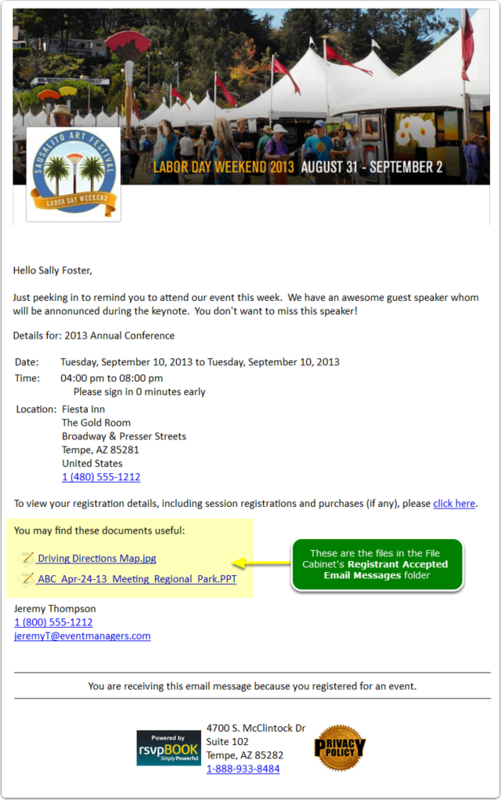 This example uses a Reminder to Attend message. IMPORTANT: If you're sending an email message to those registrant who DECLINED (status = Not Attending), then use the File Cabinet - Not Attending MERGE_CODE. 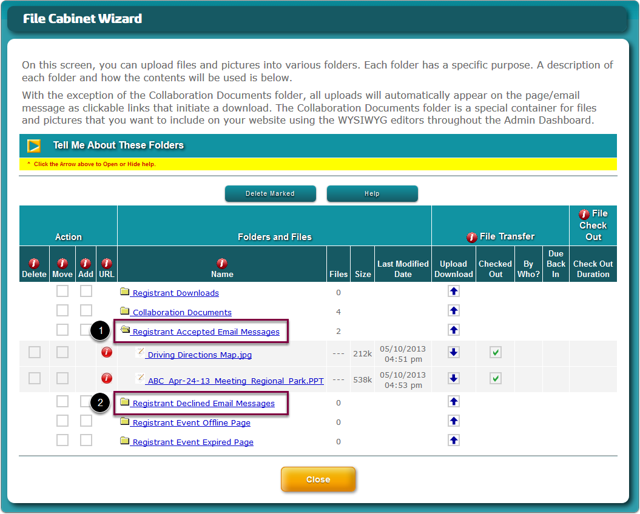 The custom text and the list of files in the File Cabinet's Registrant Accepted Email Messages are displayed as clickable links in the email message. Prev: How do I add an attachment to an email message? Next: How do I insert a file link into an email message?